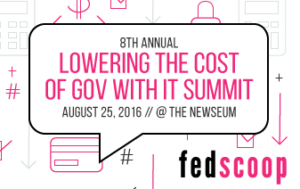 Elizabeth Raley, Director of Professional Services at CivicActions and a member of the AGL working group, moderated a panel discussion at FedScoop’s Lowering the Cost of Gov with IT Summit, on August 25, 2016 in Washington, DC. The one-day event brought government and IT leaders together to discuss the best ways government can become more efficient and save money through the use of innovative technologies. Elizabeth’s session focused on the value that agile brings to government: continuous learning, lowered risk, user involvement, effective governance, stakeholder and team satisfaction, and increased capability. She also shared about how AGL is working with agile practitioners in government to help agencies overcome the cultural and organizational challenges that agencies face in adopting agile practices. Read the recap of the event in FedScoop.